Ultimate versatility in one compact unit. Only 1.05m wide and 2.72m long and weighing in at less than 1500kg the Kanga 8 Series Loader with Rammer Extendable Rock Drill Mast, or “Drillmast” will knock out other machines when it comes to transportability! The Kanga 8 Series with Drillmast is a flexible and easy to transport unit compared to high capital cost, heavy, one- use-only machinery. It drills a 50 – 70mm diameter hole down to 50m or more. Requires the Kanga Mast unit and Power Head. Designed to hammer through rock from 55mm (2″) to 95mm (4″) diameter. 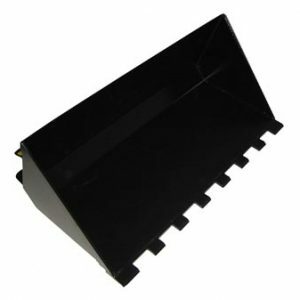 Requires a minimum air delivery of 5m3 (200cfm) at 10bar (150psi) for a 50mm diameter hole. 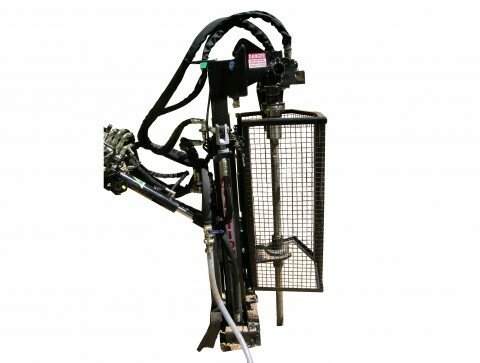 Comes with a hose connection for a compressor feed required to pulsate the drill bit during drilling. Can be used without air supply to hydraulically drive continously flighted augers for boring and soil sampling. The Kanga 8 Series Loader with Rammer Extendable Rock Drill Mast, or “Drillmast” will knock out other machines when it comes to transportability! The Kanga 8 Series with Drillmast is a flexible and easy to transport unit compared to high capital cost, heavy, one- use-only machinery. 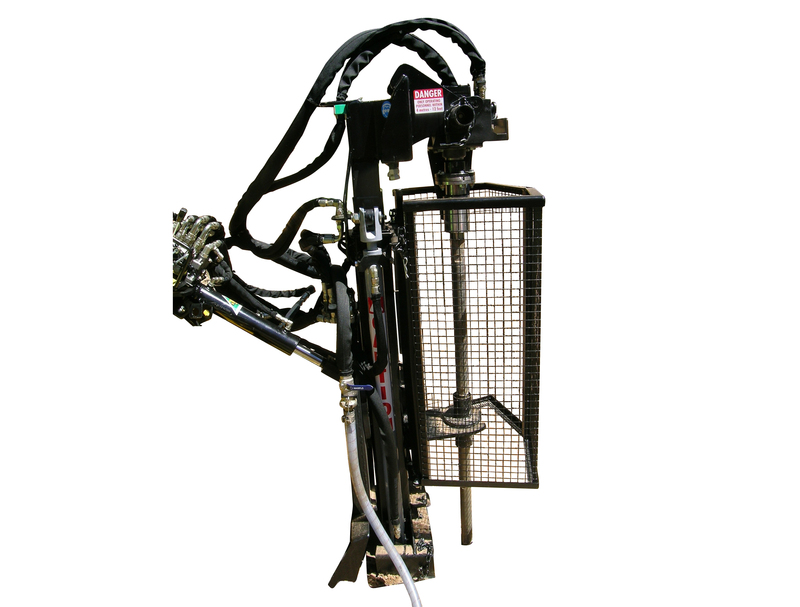 The Rammer Drill Mast has been developed for those who need a compact, maneuverable Drill Rig and Kanga have developed this attachment to be used in many ways. 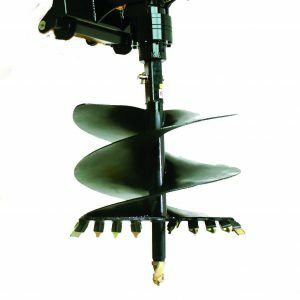 It can be fitted with conventional augers for normal drilling in soil and if the going gets hard can be changed out to run a “Down the Hole Hammer”. 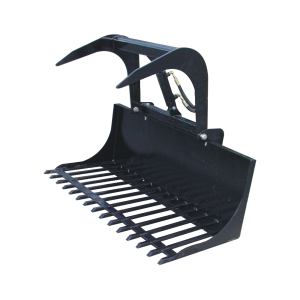 When fitted with continuous flighted augers it can be used for soil sampling or drilling bores. The mast has 1.8m of telescopic travel and can be adjusted hydraulically to drill vertical or on an angle. There are a number of satisfied Kanga owners using this attachment with a 55mm diameter Down the Hole Hammer and digging to a depth of 20m through solid rock. One particular Kanga owner is using a 90mm diameter Down the Hole Hammer to a depth of 50m with great success.